Girls State Tennis begins Wednesday in Rapid City. RAPID CITY, S.D. 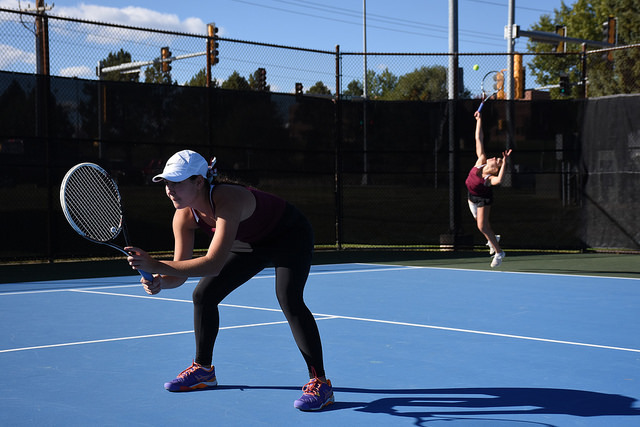 - The 51st Annual Girls’ State Tennis Tournament will be held in Rapid City, October 3-6. Twenty-three teams totaling 149 individuals have entered the tournament. Champions will be determined in six singles flights and three doubles flights over the course of the three days. Danielle Sebata, senior, from Sioux Falls O’Gorman will try for her third title at Flight 1 Singles as well as Flight 1 Doubles where she will play with Maddie Nguyen. Ava Leonard, Sioux Falls Lincoln, will try and defend her title at Flight 2. Johana Brower, Sioux Falls Lincoln, last year’s Flight 3 champion will move up to Flight 1. There will be a new champion at Flight 4, 5 and 6. Last year’s Flight 5 champion, Katie Conrad of Rapid City Stevens will play Flight #3 this year. Flight 2 Doubles Champion Johana Brower, Sioux Falls Lincoln will move up to Flight 1 and play with Ava Leonard. Flight 3 Doubles will have a new Champion as last year’s champion, Madison Bohlen of Mitchell will play Flight 2 with Kiersten Bathke. NOTE: The tournament will be start on Wednesday, October 3, due to the weather forecast. Play starts at 3:00 p.m. MT at Sioux Park and Parkview. The rest of the schedule will depend upon weather. Check the SDHSAA website or the SDHSAA Facebook page for updated schedules. Current results may be obtained on the SDHSAA website: www.sdhsaa.com. Click the SD Public Broadcasting logo on the SDHSAA home page.